Heading into Game 5 on Tuesday night, the second-seeded Denver Nuggets and No. 7 San Antonio Spurs have taken turns collecting wins in what has become a very tight first-round series. While Denver is the higher seed, Gregg Popovich's team carries a lot more postseason experience that has helped them reach this point in the season. Behind strong performances from Jamal Murray and Nikola Jokic, Denver was able to reclaim home-court advantage after overcoming a double-digit deficit in Game 4 en route to a 117-103 win. The Nuggets now turn their sights toward defending their home court, once again, in Game 5. Here's everything you need to know about the series between the Nuggets and Spurs. Spurs: They may enter as the No. 7 seed, but it's not as if they're the clear-cut underdog. They won two of their four games vs. the Nuggets this season and went 32-9 at home. Furthermore, head coach Gregg Popovich coached his 278th playoff game in Game 1, while Nuggets head coach Michael Malone coached his first postseason game. Nuggets: Denver is the youngest team in the NBA playoffs -- heck, it's the Nuggets' first appearance in the postseason since 2013 and they'll be looking for their first playoff series victory since 2009. In other words, this No. 2 seed features a bunch of players -- outside of Paul Millsap -- that literally have no experience on the big stage. 1. Which star players will take over a game? There is no shortage of star power in this series with the Spurs featuring DeMar DeRozan and LaMarcus Aldridge while the Nuggets feature the likes of Nikola Jokic and Jamal Murray. While all four players are stars in their own right, DeRozan and Aldridge have led teams to conference finals appearances in the past -- in other words, they've taken over big games and proved their worth. While Jokic and Murray have certainly accomplished a lot this season, both players -- especially Jokic -- have disappeared in big games against big teams such as the Golden State Warriors. 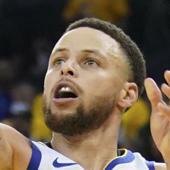 The fact that the Nuggets lost nine of their 12 games vs. stiff competition such as the Warriors, Houston Rockets and Utah Jazz this season provides a little doubt that their star players can take over when the team needs it most. 2. Benches: When you take a look at both teams, it's clear that the Nuggets have more depth. Monte Morris and Malik Beasley are younger, fresher and better than the Spurs' Patty Mills and Marco Belinelli. But the latter two have a lot more experience and a proven track record in the playoffs, with Mills having made 83 playoff appearances and Belinelli appearing in 58 of his own. Morris and Beasley have a combined zero playoff appearances. Considering this is a seven-game series, Popovich's past (and proven) history of adjusting on the fly could prove to be pivotal in what should be a close series. However, Malone has fresher legs and better personnel to rely upon -- the only detriment is his unit's lack of playoff experience. Nuggets in six: This is the most intriguing first-round series of the NBA playoffs. These two teams were so evenly matched during their regular-season matchups with two of the four games being dictated by a combined total of four points. Furthermore, when you combine the Nuggets' dominance at home (34-7) with the Spurs' own success on their home floor, this becomes a matter of who can steal the first road game in the series. With that said, I do believe talent will trump experience in this series. But don't expect it to come easy for the Nuggets.